After the immediate danger of a disaster has passed, individuals should continue to exercise caution in their homes and communities to stay safe during the clean-up and recovery process. Recovering from a disaster is a gradual process. It will usually take some time before things return to normal, so is important to be patient. Throughout the recovery period, monitor local radio or television reports and other media for information about where you can seek emergency housing, food, first aid, clothing, and financial assistance. Before returning to your home it is vital that you check it is safe to do so and follow the advice of the emergency services. Making sure that you, your family and friends remain safe at all times should be your first priority. Once you are able to return to your property, many insurance policies will require you to take reasonable steps to prevent further losses. If possible, do what you can to minimise further damage. For example, placing a tarpaulin over a damaged roof will prevent further water damage to your assets during a storm or flood. Remember to speak to your insurer before authorising any major repair work or hiring any tradespeople. Unauthorised repairs may not be covered by your insurance policy. Be aware unscrupulous people may try to take advantage of disaster victims. If in doubt about whether a tradesperson or builder has been sent by your insurer, contact the company. During the recovery process it is very useful to record the damage to your premises, fixtures, vehicles, stock, customer records and equipment. 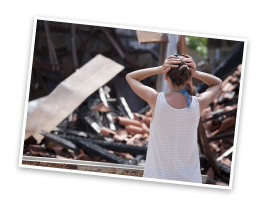 Pictures, videos and documents can then be supplied to your insurance company as evidence of what has been damaged or destroyed. Don't be concerned if your insurance documents have been lost or damaged. Insurance companies keep records electronically and only require the policyholder's name and address in order to locate a policy. You can take some simple steps to speed up the recovery and claims process following a disaster. After a disaster you may need help. If disaster assistance is available, knowing how to access help can speed up the recovery process. 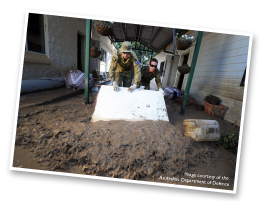 In addition to the help of family, friends and community, the efforts of government and voluntary agencies are a key part of the effective response to and recovery from a disaster. Voluntary agencies such as the Red Cross and the Salvation Army are an essential part of any disaster relief effort, often providing critical assistance with food, shelter, clothing, household items, medical expenses, clean-up, repairs, and rebuilding. During large-scale disasters the Federal Government is also called upon to help, and can provide disaster relief grants, assist with temporary housing, counselling (for post-disaster trauma), low-interest loans and other assistance. 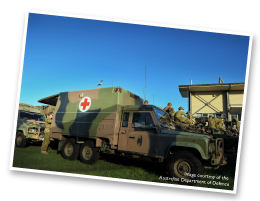 The Australian Government Disaster Assist website provides access to information about recovery assistance following a disaster. The website will have up to date public information messages, relevant free call numbers, information on Australian Government Assistance Packages and links to relevant websites. It’s important to remember that financial assistance following a disaster does not replace insurance or act as a compensation for financial losses. Depending on the scale of the natural disaster, local authorities and emergency agencies often establish recovery centres close to the area affected. 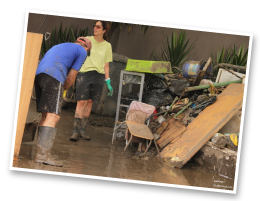 Community recovery centres offer immediate help to individuals and families after a disaster. They may operate along with outreach services, where representatives from a community recovery team will visit residents in a disaster-affected area. 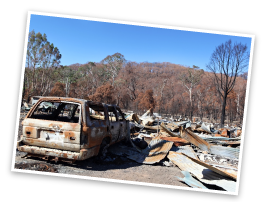 Representatives of the Insurance Council of Australia (ICA) and the insurance industry will often attend these recovery centres to provide assistance to policyholders who have been affected. ICA officials will be able to help with general questions about claims and settlement timeframes, and will also be able to help point you in the direction of further assistance. Representatives of emergency services, government and aid agencies also have a presence at recovery centres and can provide you with any help you require. Insurance can’t stop a disaster from occurring, but appropriate cover will help you get back on your feet if a disaster strikes. You only have to look towards the examples of economic recovery and rebuilding following disasters such as Cyclone Tracy, the Newcastle Earthquake, the devastating 2009 Victorian Bushfires and the past three years, which saw 16 separate catastrophe events declared, totalling more than $8.8 billion in insurance losses*, to gain an appreciation of the critical role that the industry plays in assisting a community to recover. Many of these well -known disasters are now etched into the nation’s collective memory. Living in an at-risk area going without the right insurance cover can leave you financially exposed. If you are insured and your policy covers the situation, your assets are likely to be replaced or repaired by your insurance company or you will receive a settlement, up to the limits of your policy. Lodge a claim with your insurer as soon as you are able to. This will help speed up the recovery process and help you get you back on your feet. Individual insurance companies are accustomed to meeting the claims demand placed upon them both during normal business and times of crisis.